Roger is pleased to confirm three of his oil paintings have been selected for this prestigeous Open Exhibition. In September I was asked to undertake a commission for a City of London partnership of Chartered Environmental Consultants specialising in urban regeneration and property development projects in the UK. 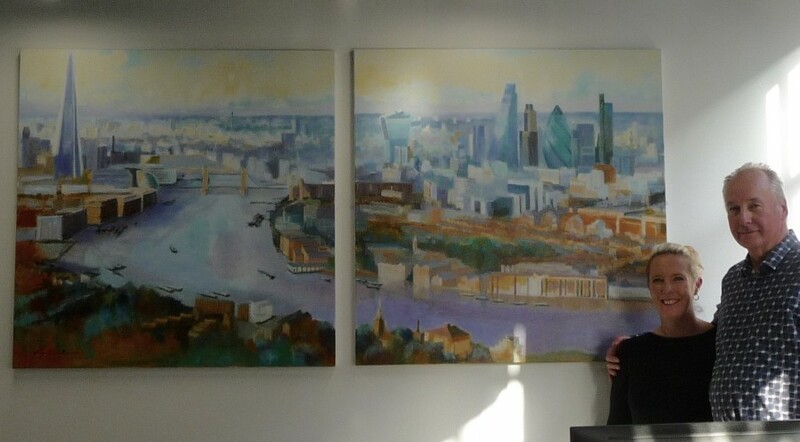 The Shard was a project they had been actively involved with at detailed planning stage and my brief was to paint a panoramic citiscape spanning the River Thames. This needed to incorporate the Shard and the prominent central city core buildings. All my work on this website is protected by copyright law and cannot be reproduced in any format, including colour and mono printing, without my prior written permission.